Join Toby, as a head-clearing walk leads him right into a Witch’s domain. But is she friend or foe? Magic and the Modern Witch. 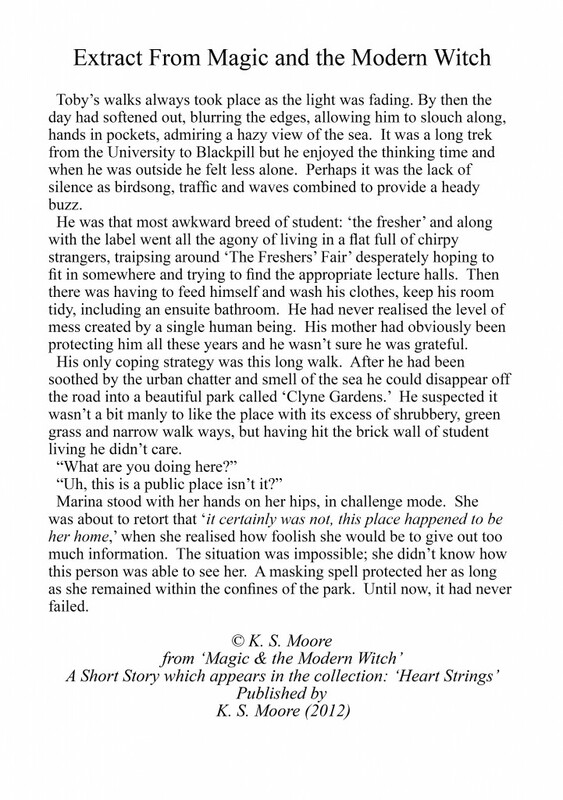 Magic and the Modern Witch was inspired by childhood memories of ‘Clyne Gardens’, a park situated just minutes from my home. My elder sister used to make up stories about the various buildings within the park. There was a cottage, which she said belonged to a gnome, a tower, in which a princess resided and a dark neglected gazebo. We were both intrigued by the gazebo and between us decided that a witch must live there. In Magic and the Modern Witch I have brought this character to life. Her name is Marina, she is young and lonely and hidden from the world by a masking spell. As long as she remains on home territory she is hidden from human view. Curious student Toby, who is struggling with student life, manages to break the spell and start a conversation with this extraordinary woman. The story is about youth, new experiences and reaching out to others. As it progresses, Marina and Toby are drawn into a magical whirl of partying, sorcery and romance. For a further taste of this story and others, head over to Amazon: http://amzn.to/Sg7Zof where ‘Heart Strings’ is available for just £1.99. 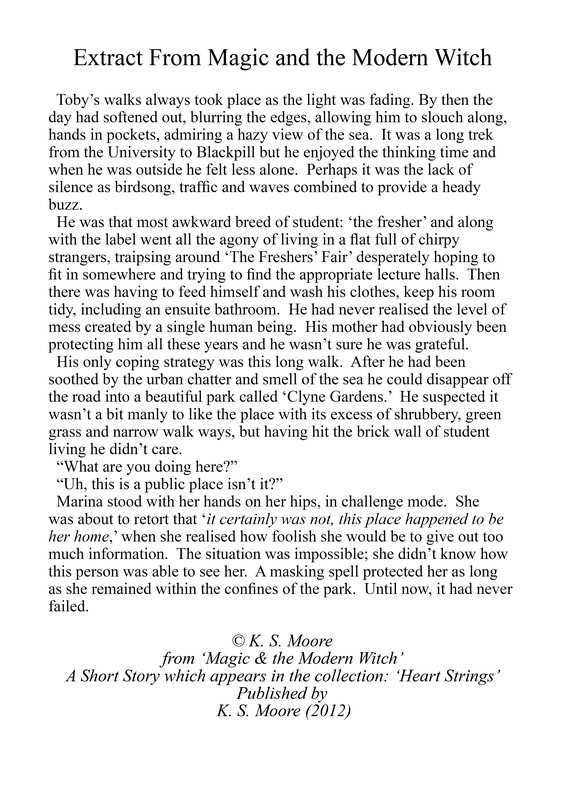 Heart Strings Extract: Magic and the Modern Witch.